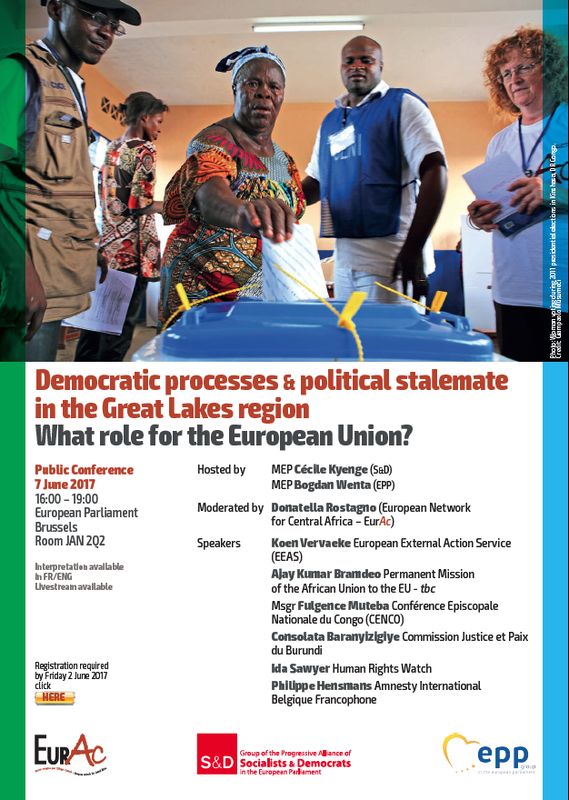 PUBLIC CONFERENCE & LAUNCH OF REPORT - 7 JUNE 2017 - Democratic processes & political stalemate in the Great Lakes region. What role for the European Union? Democratic processes & political stalemate in the Great Lakes region: What role for the European Union? This event will also launch a EurAc advocacy document, which, based on extensive field work and research in both Brussel and the Great Lakes region, analyses political, technical and security challenges with regards to democratic processes in the region, and highlights options for EU action. The conference will be broadcast live.